Home / Freebies / Free Stuff Online / 20 FREE Easy Holiday Recipes eBook! 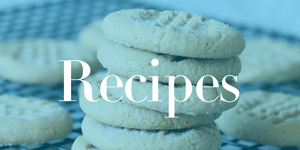 20 FREE Easy Holiday Recipes eBook! Need some new dessert ideas for the holidays??? You can get this 20 FREE Easy Holiday Recipes eCookbook! There is nothing to it! Simply go here, then put in your email address and you will be able to get the 20 Easy Holiday Recipes for FREE! These recipes look so good with a great variety including desserts, entrees like beef tenderloin, and some TASTY looking soups! I have never met a cheese I didn’t like, and brie is one of my favorite easy appetizers whip up. The Honey Mustard Brie with Apples sounds just AMAZING. Change up your sweet potato rotation with these Pan-Fried Sweet Potatoes with Pancetta! PANCETTA! Need I say more? This reminds me of a dessert my mom makes :) The Pecan Dream has chocolate, pecans, whipped cream! YUM YUM YUM! Check out all of the recipes in this 20 Easy Holiday Recipes that you can get totally FREE! FREE Photo with Santa at Kohl’s! Dec 9th and 16th! Try Hooked On Phonics for FREE for 30 Days!